Floridians are all too aware of the risks posed by coastal flooding. Each year during the rainy spring and summer seasons, we must keep a close watch on the weather systems and be constantly prepared for dangerous flash floods. 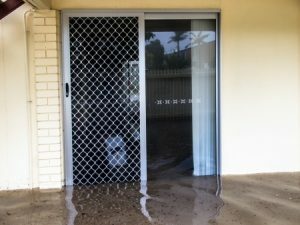 As frightening as floods can be, it is often the loss of your belongings and property that is the most devastating. By purchasing a separate flood insurance policy for your residential or commercial property, you can ensure that you are covered when you need it most. Flood coverage is not typically included in standard homeowner’s and commercial insurance policies. Instead, most insurance carriers recommend an additional flood insurance policy as part of a comprehensive insurance plan. Far too often, homeowners rely on Federal disaster relief when floods strike. Unfortunately, aid is only available when the President formally declares a disaster, and even then, the aid comes in the form of a loan that must be repaid with interest. In addition to providing our clients with flood coverage, we also provide a wide range of other policies including life insurance, commercial liability insurance, homeowners insurance, renters insurance, car insurance, boat insurance and much more, and we are proud to be the single source for the insurance needs of hundreds of residents throughout Tampa Bay and beyond. If you live in St. Pete Beach, New Port Richey, Clearwater, Hudson, Pinellas Park or other coastal regions of Florida or the Southeastern United States, contact Five Brothers Insurance today to discuss your needs. We are confident we can find you the most affordable and comprehensive flood insurance policy to meet your unique coverage requirements.